My homewear wishlist is getting seriously out of control. I want a new bed, a new carpet, a new rug, another chest of drawers... It feels as though it's a never ending list that I'm never going to achieve. 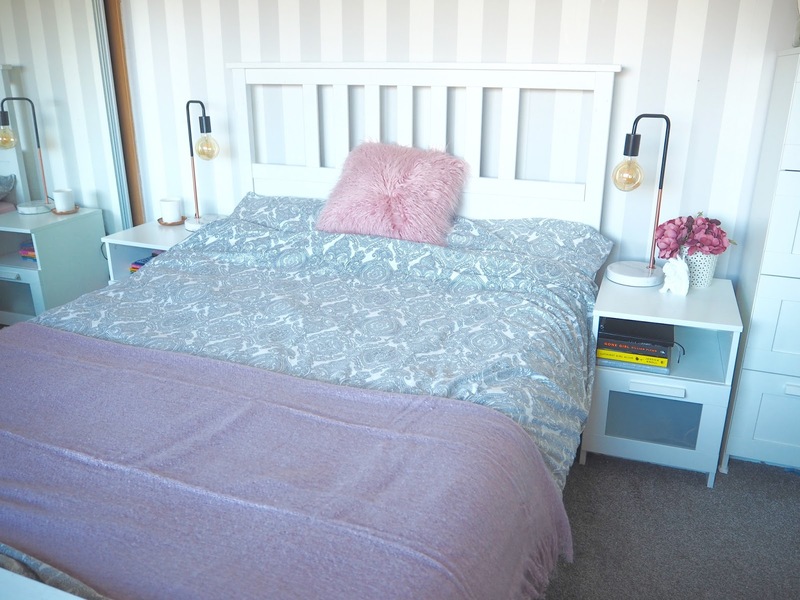 Rather than stress myself out and worry about spending loads of money on all new everything, I decided to give my room a bit of a makeover and a refresh by changing up my accessories. It's surprising how by just adding a few extra details and a splash of colour, how much the room has changed and how much happier I feel in it. For me a bedroom should be a bit of a haven, somewhere that I feel instantly relaxed in and a space I can enjoy. It should be instantly relaxing and a space that is always stress free. I took everything off, cleaned, dusted and rearranged the items I need beside my bed, then the rest was put away in it's proper place. 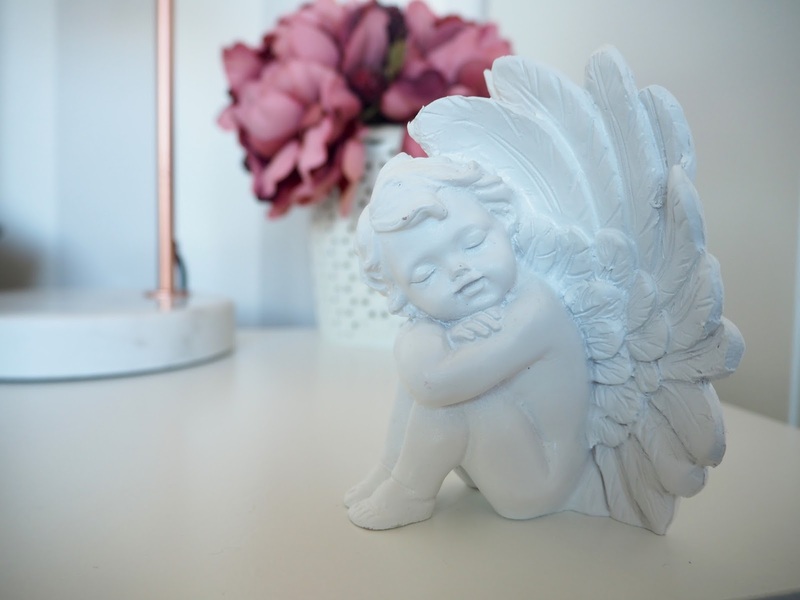 The flowers and cherub were gifts from my Mam and Gran, so I like to keep them close and the tidy, clutter free space instantly made me feel so much more at ease. My new lamps are from Aldi, which is a place I'd never think of for home wear, but I love these! 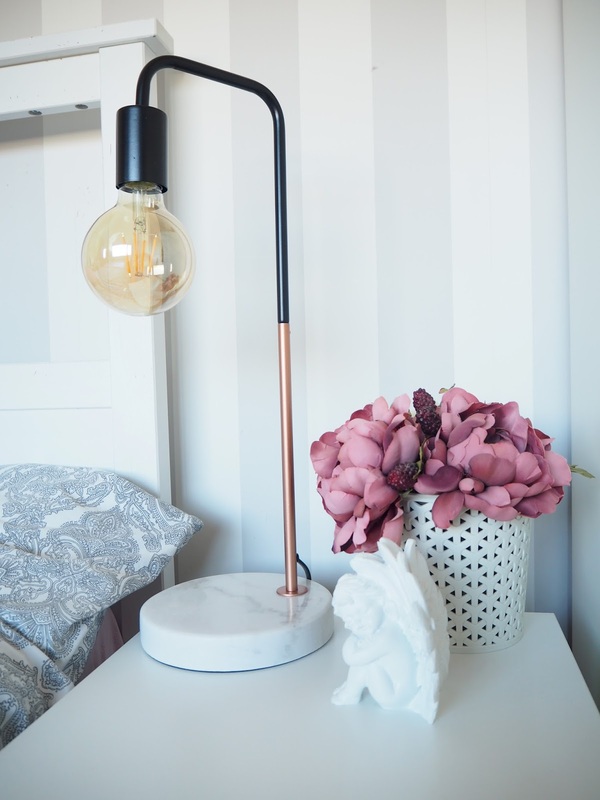 The industrial style lamp with copper detailing and marble base is every bloggers dream, and they make a real statement in my pastel toned room. I then made my bed, with fresh sheets and my new bedding from Ikea. Is there any better feeling?! And now that the weather is finally starting to pick up and Spring might just be here, I've been leaving my windows open to fill the room with fresh air - it really does make all of the difference. 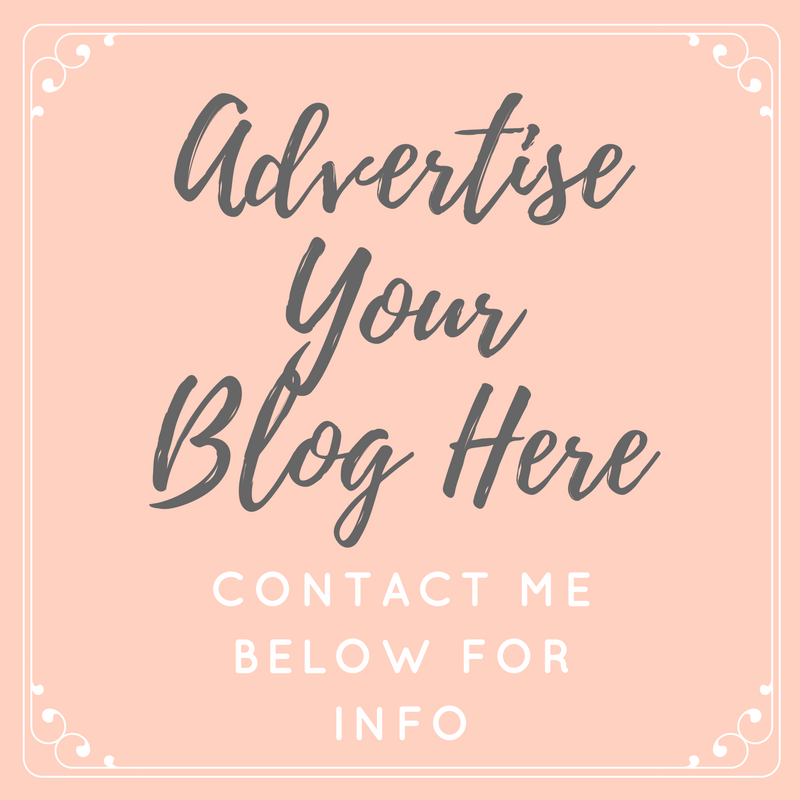 Finally, I added a splash of still muted, but beautiful colour with some dusky pink accessories from Rooi the luxury and designer homeware website. The colour adds a lovely girly feel to the room, and definitely brightens it up for Spring time. Such simple additions can totally change the look of a space, and thats exactly what these pieces have helped me to achieve. 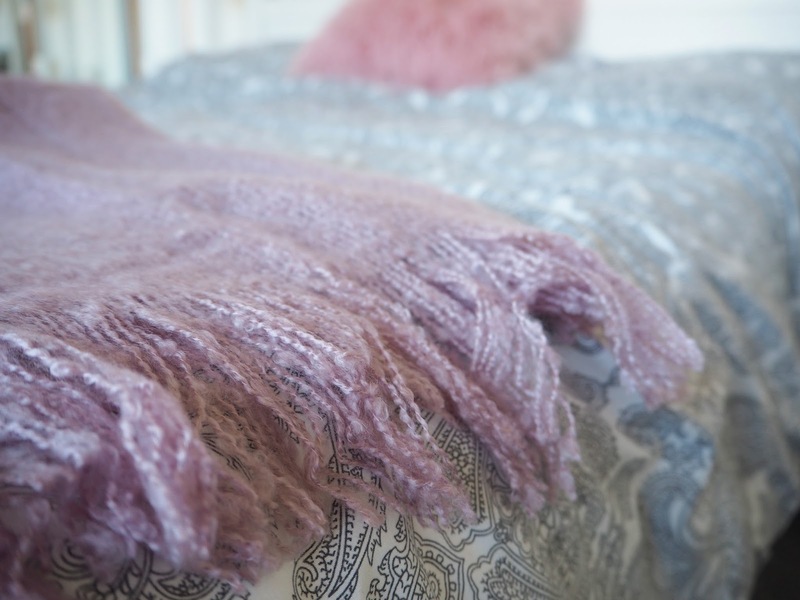 The mongolian fur style cushion is quite the centre piece, which adds some amazing texture to the bed and the faux mohair throw (which is currently in the sale!) 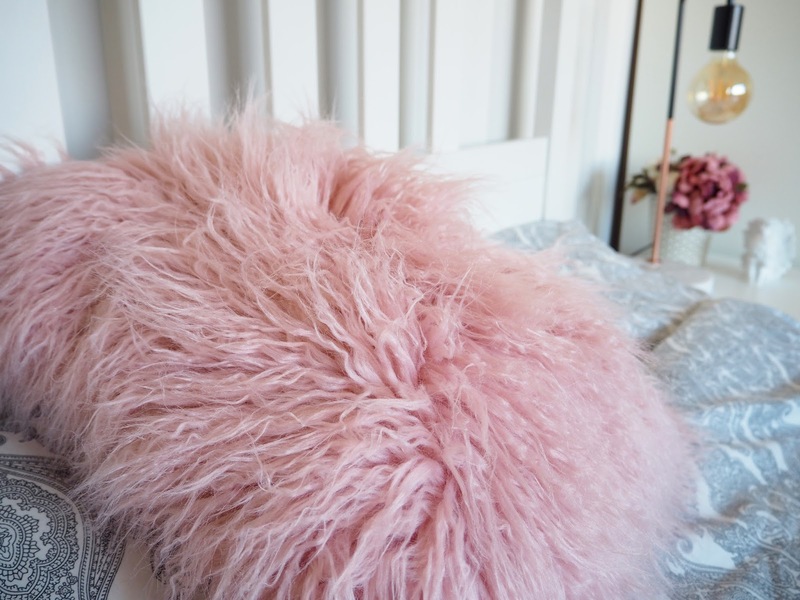 is so soft and snuggly, plus it compliments the decor perfectly. The next step for me will be finding my inner DIY goddess and completing the building of my Hemnes chest of drawers. I also want to get a new bed and put up a floating shelf and stand some framed prints on it to add that little bit more of my personality into the room. Do you like to refresh the decor of the rooms in your house? I have recently spent time and money replacing the furniture in my bedroom! I love changing things up especially as the seasons change! Aww your bedroom is so pretty. Those lamps are perfect!